For the treatment of blowfly struck sheep. When applied as directed this product will protect aginst fly strike for up to 20 days. 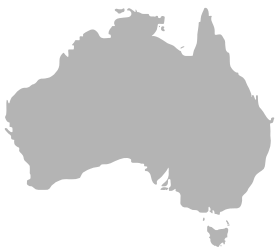 Graziers' know that during humid summer months monitoring of sheep for fly strike is needed. The main purpose of an insecticidal dressing fluid is fast activity on maggots followed by protection of the healing wound from fly strike. The longer residual activity the greater comfort graziers' will have when monitoring their flock post-treatment. 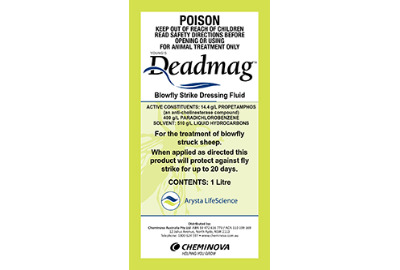 Deadmag dressing fluid is an organophosphate insecticide formulated for Australian conditions. During the warm summer months it will provide quick eradication with 4-8 hours by working on the nervous system of the blowfly followed by residual activity for up to 21 days.